Brenli is a HTML5 multipurpose startup landing page designed to quickly get you started to promote or generate leads for your products ,service, agency or business. Brenli is built using HTML5, CSS3 and Bootstrap 4.2.1. The template is well documented, easy to edit and customize. 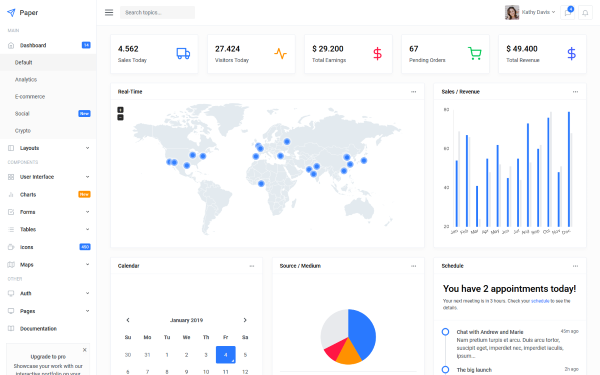 Oreo University Admin is Bootstrap 4x Material Design premium admin dashboard theme. The template is used for University, Collage and School. It is really suitable template for Professors, Staff member, Student, Library Assets, Departments and Organization. It is purpose oriented design, responsive layout and wonderful features like Event Schedule, Professors profile, Student profile, Student invoice, Income Report, Sales Report, Payments and many more. Oreo University Admin is compatible for every modern browser, any device and any screen size. 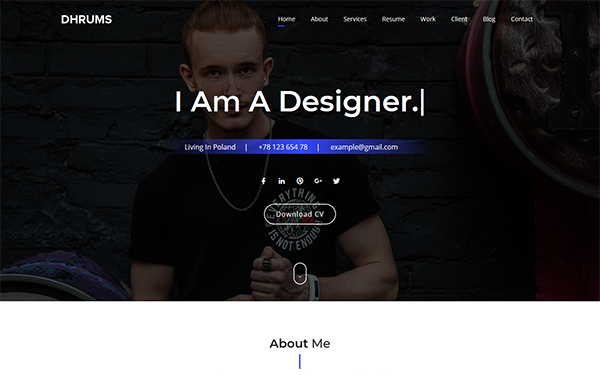 Crysta is a HTML5 template base on Sass and Bootstrap 4.x with modern and creative multipurpose design you can use it as a startups, web studio and creative agencies, musicians, architects, etc. 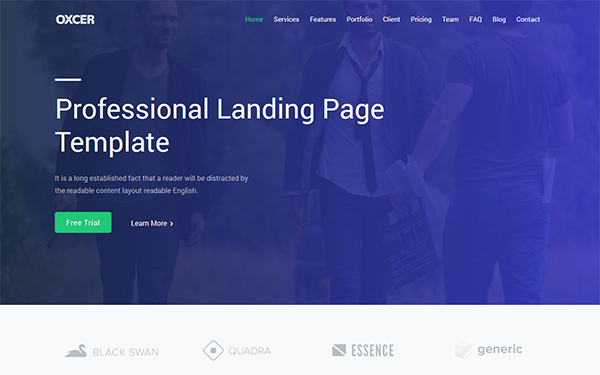 There are included three unique homepages with landing page variations and different color options, boxed and wide layout and search functionality as well. This design is very easy to customize and all files and code has been well organized and nicely commented for easy to customize. 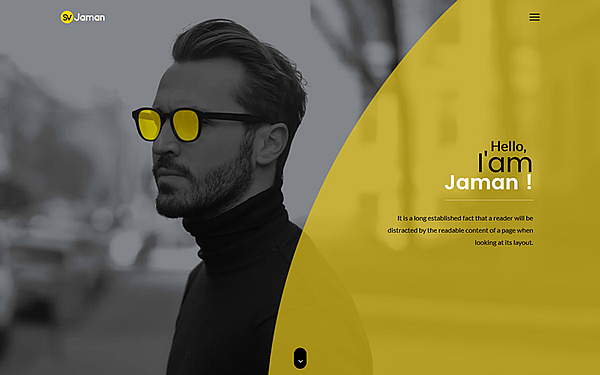 Sv jaman is a Creative & Modern Parallax Personal One Page Portfolio Template is a perfect template for Business Portfolio, web studio and creative agencies. Responsive based on Bootstrap. This is one page for placing your information. All files and code has been well organized and nicely commented for easy to customize. Fiori is built for modern applications that are powered by any technology that supports HTML/jQuery integrations. It includes lots of components, elements and widgets so that developers don’t waste time with the visual/design part. They just put some components together and voila, the app looks like it was built by a professional designer. Uniq is a clean, elegant and modern Bootstrap 4 multipurpose portfolio template for creative professionals, small businesses, agencies and freelancers. This template is fully responsive and retina ready, it looks and works perfectly on any device. 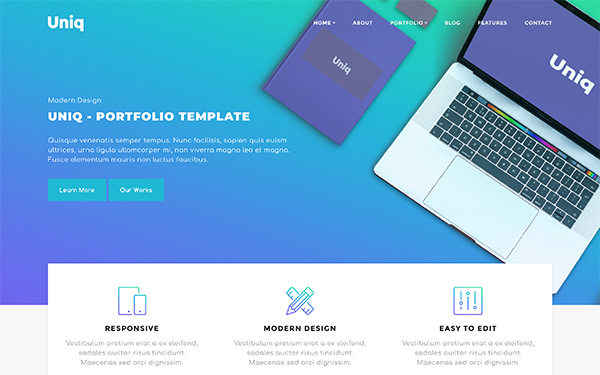 UniqCreative Bootstrap 4 Portfolio Template was built using SASS for faster and easier customizations ( .scss files included in the download package ). 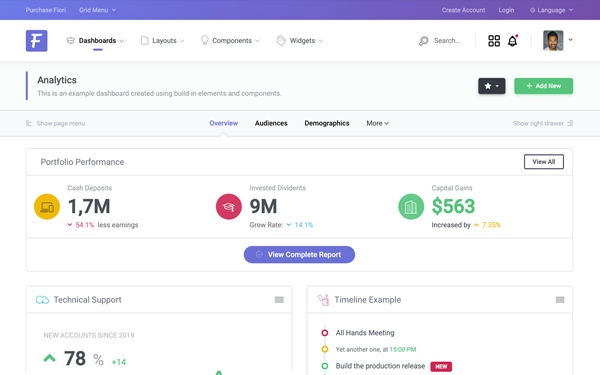 Paper is a responsive Bootstrap 4 administrator dashboard built for everyone who want to webapps on top of the most popular framework, Bootstrap. Paper helps you to create your next Bootstrap even faster then before. 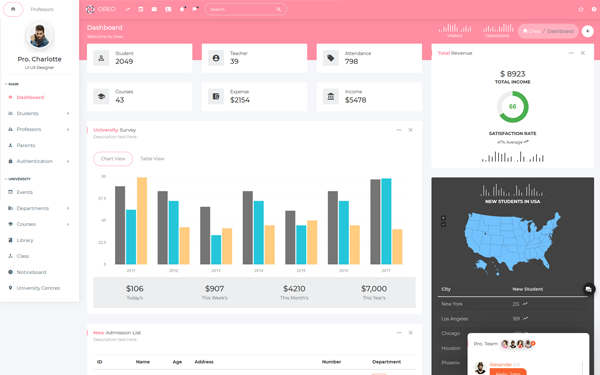 It can be used to create a Saas based interface, administrator dashboard or anything you want to build on the web. Paper helps your team moving faster and saving development costs. 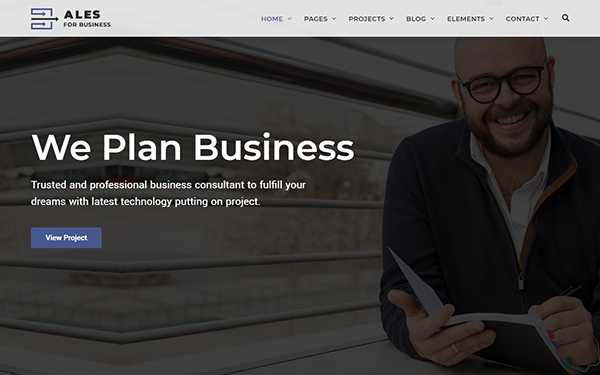 Fabrex - Business Multipurpose and Corporate Template developed specifically for all types of businesses like consulting financial adviser, medical, construction, tour, travels, interior design, agency, accountant, startup company, finance business , consulting firms, insurance, loan, tax help, investment firm etc. 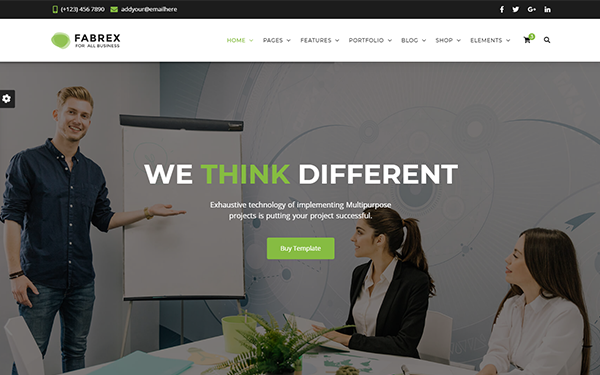 Fabrex template filled with additional functionality of neoteric web technologies and adds all features to let you create unique website. We know that every business is unique, that’s why we have done Intimate research to build fabrex template with brilliant idea. Looking for release your business website? Fabrex is best choice. Ales is a highly creative, modern, and Bootstrap 4.x responsive multipurpose agency HTML5 template. Using Ales template, you can easily create amazing websites for any agencies and businesses. All files and code has been well organized and commented so you can easily customize your website with ales template. 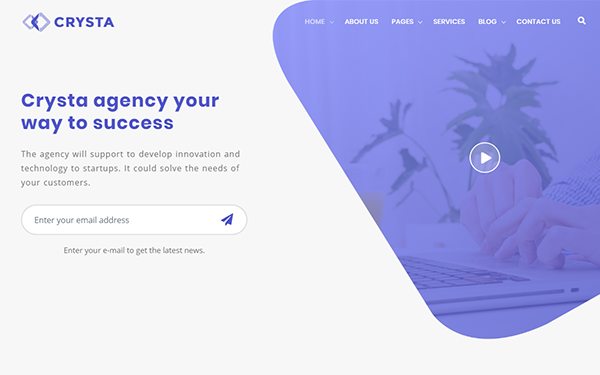 Oxcer is a HTML5 multipurpose startup landing page designed to quickly get you started to promote or generate leads for your products ,service, agency or business. Oxcer is built using HTML5, CSS3 and Bootstrap 4.1.3. The template is well documented, easy to edit and customize. Copyright © 2004-2018 Topthemestore.com All Rights Reserved.